Recently I was asked to participate on a panel of finance and credit experts, answering consumer questions on aspects of credit impacting credit card users. A common question “How long should I wait before applying for a new credit card?” was asked of our expert panel. If you wondered about this yourself, you should read this article, and have a look at what experts on the panel have to say which could help you and your credit rating. By Graham Doessel, Founder and CEO of MyCRA Lawyers. The article seen here below in full, is published on credit card comparison website www.creditcardoffers.com – a subsidiary of Credit World. Ask An Expert: How long should I wait before applying for a new credit card? One of the most common questions we get at Credit Card Offers is whether or not it is too soon to apply for a new credit card or other credit product after taking up an offer. It’s a confusing situation for us as borrowers, with some lenders saying three months is long enough to wait, and others advising that two fresh applications within one year is the maximum we should be lodging if we want our credit files to stay in tact, including our expert Dominique Bergel-Grant, whose full answer to the question is below. Dun & Bradstreet’s Steve Brown tends to agree that too many applications will simply raise a red flag for lenders, and Dun & Bradstreet is one of the major credit reporting agencies operating here in Australia, which supplies information on consumers and businesses. The definition of ‘too many’ credit applications each year is open for some debate too, as according to State Custodians CEO Heidi Armstrong, up to four or five applications per year can be acceptable, depending on other factors. As another of our experts, Graham Doessel points out, some lenders may even decline your application automatically if you have made too many applications – and that won’t matter whether or not you actually took up offers of credit after those applications. If you find yourself in that situation, you may have an option to speak to lenders and/or credit reporting experts to rectify the situation. ME Bank’s Nick Vamvakas does mention that when lenders have access to more information, they may give less weight to factors such as the number of previous applications if they can see other good reason to believe you are creditworthy. It’s bound to be harder where you have been rejected by a computer though. Doing balance transfers with credit card debt can also provide mixed signals – because lenders will see that you have simply moved debt onto another credit card, but at the same time they should also be able to tell that you are paying off that debt each month more easily with the extra information that will be available. That means that if you’re using them correctly, balance transfers can be a useful tool for your debt and your credit file, and not damage your ability to borrow. The whole situation will be clarified further in 2014, when lenders gain access to a 24-month repayment history on borrowers’ credit files. We will start to see, over the course of the next year or two, what approach lenders take based on the new credit scoring system and the new information available. Until that time though, we can give you these words from those in the industry to take into account before applying for your next credit card or loan. Read each expert’s response and keep the information in mind when considering a new credit card or loan. Customers should definitely take precautions when applying for credit. The volume of credit people apply for and the type of credit can hinder any future credit application. In terms of how long customers should wait before applying for each new card – it really depends on each lender. However, we are aware that some Credit Providers will have an automatic decline with individuals who have applied for credit 3 times in the last 6 months, or show 6 credit applications in a 12 month period. Customers should only make a credit application they have full intention of pursuing. Be wary of applying for ‘high interest’ or ‘bad credit’ loans –a credit ‘scoring’ method may shave points off your score through this type of credit application. Seek cautious credit limits within your budget. Your credit score may be affected by credit limits which are considered too high. In the old credit reporting regime, which will be replaced in 2014, the number of credit applications was one of the few indicators available to credit providers to judge an applicant’s suitability to receive credit. It was a negative indicator and a larger number of credit applications in a short period could create a negative impression. While the number of credit applications may still be used as a negative indicator in the future, it will carry less weight as other indicators will now be available to credit providers. It is therefore likely to have a smaller negative impact on borrowers’ credit scores. Each credit provider will have their own credit and risk scoring approach, however applying for multiple credit cards, loans or other finance in a relatively short period of time will show up on your credit report and be a potential red flag for lenders. Numerous applications in quick succession can indicate a high level of risk and an irresponsible appetite for credit, especially if you have unpaid debts to begin with. Each time a person applies for credit, it impacts their credit score. Around 4-5 credit applications per year is generally within the range of acceptable behaviour from the perspective of a main-stream lender. Therefore, if a customer is only applying for one or two credit cards per year (based around a 6 or 12 month balance transfer offer) then this is not necessarily seen in a poor light, provided the total number of credit enquiries during the year remain within the acceptable limits. Extreme care would have to be taken to only apply with one credit card provider and not put in multiple applications at the one time. A lender can see what different credit applications a customer has made and too many enquiries will create a ‘busy’ credit report and result in a poor credit score. If customers are continually rolling the same amount of credit card debt over to a new card, it means they are not actually paying the debt off and lenders will start to look upon this unfavourably. Continuously transferring credit cards is a short term solution and doesn’t fix the real problem of being in debt. If customers wish to take advantage of interest free offers, they should try to only consolidate once and then make an effort to pay off the debt as soon as possible. 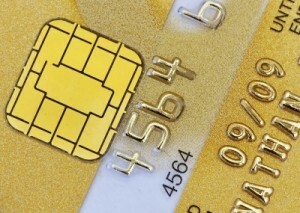 As a rule you should not apply for more than two new credit facilities every 12 months. When lenders see more than this they start to become concerned about your motives, and although it could be due to chasing a low rate it will still be a mark against you. Remember some lenders systems have automatic credit scoring, so if you fail due to multiple credit application then your application will simply be declined. The biggest tip is to get a copy of your credit report and know exactly what the lenders will be finding out about you. I recommend all my clients apply for a copy of their credit report once a year both to check for any errors, but also to ensure there has been no fraud. We hope the help offered here by these experts has helped you to know more about not only credit applications, but credit reporting in general. If you would like to know about Australia’s new Privacy Laws and how they might impact you, read our next post.